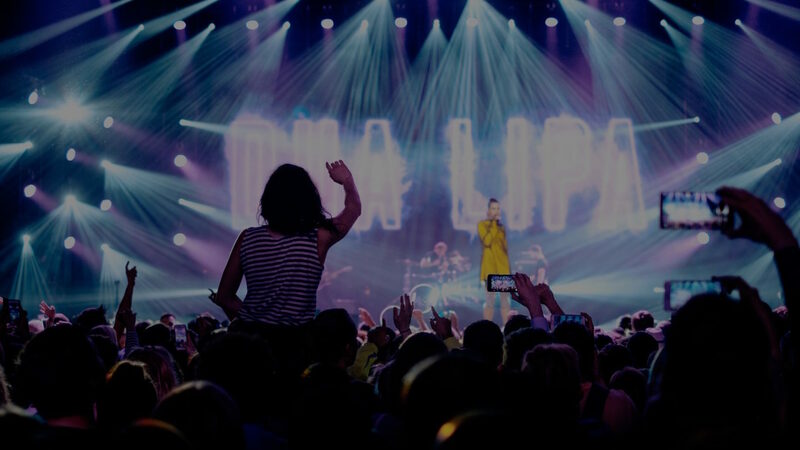 In the telco world and more so in the domain of network quality and customer experience, we hear a lot about network KPIs and Customer Experience. 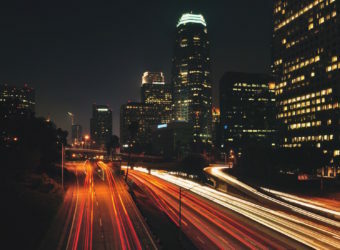 There is a genuine concern for improving Quality of Service – the market for test and measurement solutions in telco is expected to exceed USD 6 Bn, CAGR over 9% – so we may infer that better service should translate into an excellent customer experience. 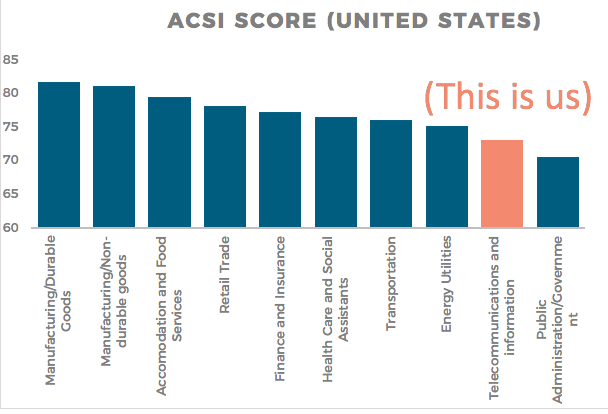 Telecommunications ranks second last in the US, right over Public Administration, according to the American Customer Satisfaction Index quarterly survey. Plus, figures in Europe or the rest of the world are not strikingly different, so we need improvement in terms of customer satisfaction. Some analysis is called for: what are the most important components of customer satisfaction? 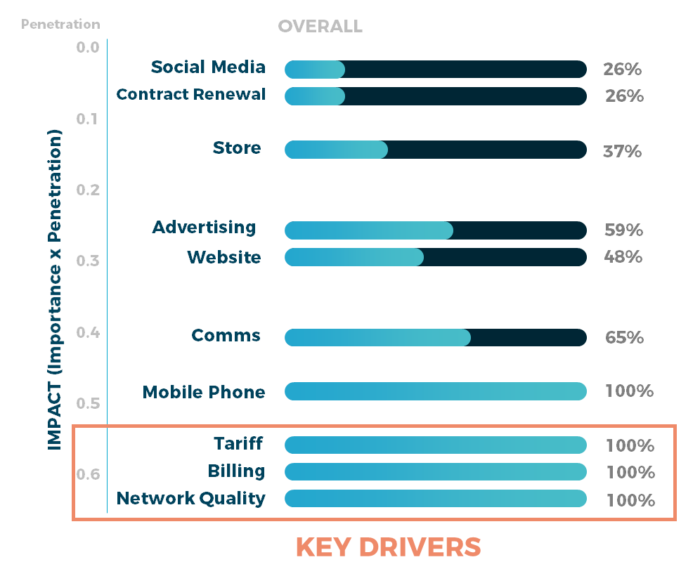 Mobile phone, tariff, billing and network quality, are some of the factors with 100% impact, according to Customer Gauge’s 2018 NPS & CX Benchmark Report. So, in the end, network performance can be related to service performance. But are all QoS equally important? At MedUX, we have conducted a survey in the UK where we asked respondents to rank different Home Broadband Services as per their importance. The results prove the intuitive notion we all have that not all services and metrics are equal. The metrics of quality that we need to reflect customer experience must be related to the concrete services that customers use. They also give us a measure of which services are more critical to Customer Satisfaction. 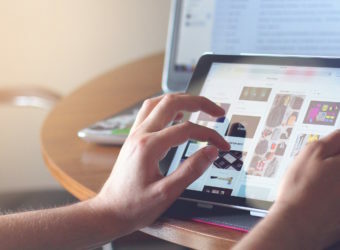 In order to report the actual experience that a customer would receive, there is a lot to be gained from testing those services from the very customer perspective. 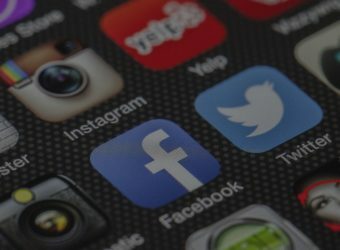 MedUX tests the services that customers use the most, from the customer end, by deploying it in the main markets in Europe. 5,000 devices and counting, what can they show us that can actually be used to improve customer experience that other solutions can’t? Among other tests, MedUX tests ping and browsing against the most popular web destinations in the markets where it is present. In the frequent situation where service providers reach peering agreements with the likes of Google, monitoring these very services is of great help to detect specific events like the one below. A massive deployment of testing devices allows sorting and grouping the collected information across a multitude of dimensions, like service, technology, CPE model and firmware version. 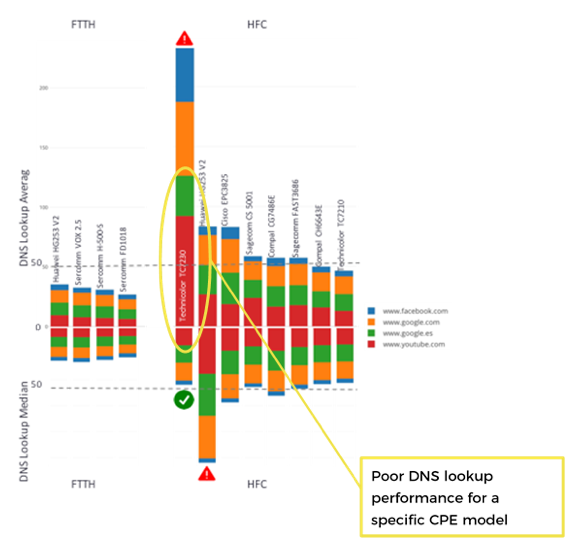 The graph below shows DNS Lookup time per service, CPE and technology, and it becomes very clear how one particular CPE model response to YouTube multiple DNS lookups resulted in long delays and bad experience for the viewers. One of the obvious advantages of 5,000 probes deployed over 7 countries is the possibility to compare among markets. You can take a look at our analysis of the Status of Telecom Quality of Experience in UK compared to Europe, where we show the degree of compliance with contracted speed for Spain, Portugal and UK. Monitoring the services that customers use from their very own perspective allows to include the Quality of Experience factor to the decision process, so that it is possible to prioritize investments where the impact on QoE is higher and hence ROI. 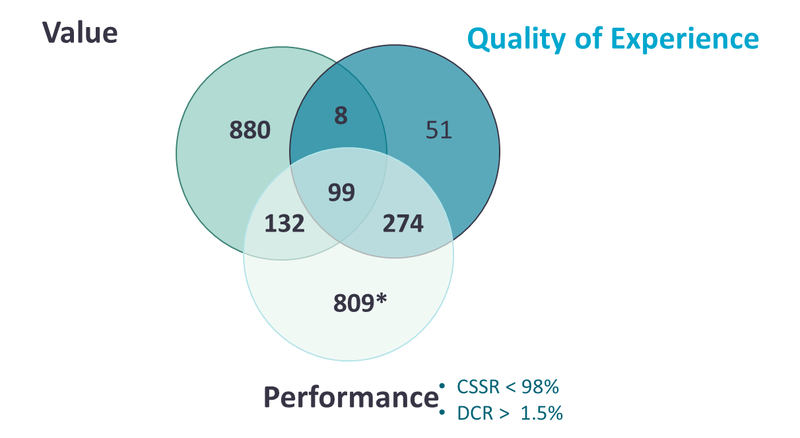 In the end, there is room to improve Customer Satisfaction and Retention, if we enrich our understanding of network performance with e2e QoE Metrics of the services most used by our customers, from their very perspective. If you want to know more about the important role of Data Analytics in enhancing network efficiency and customer satisfaction, meet us at Telco Data Analytics & AI USA, in San Francisco on the 28th and 29th November.